Hi there. This Blog is all about painting. I’ve been painting for many years and I’d like to share my thoughts on how to approach painting or better said, how I approach painting. How do you get better at painting? The answer is – painting everyday. We don’t have a lot of time, but even a twenty-minute painting is better than nothing and watercolor is perfect for this. Today my objective was to paint the still life fast enough before the light changed without doing a preliminary drawing because I’m practicing drawing and painting at the same time.. This blog is called Painting Life because I only use watercolor to paint in direct from life. 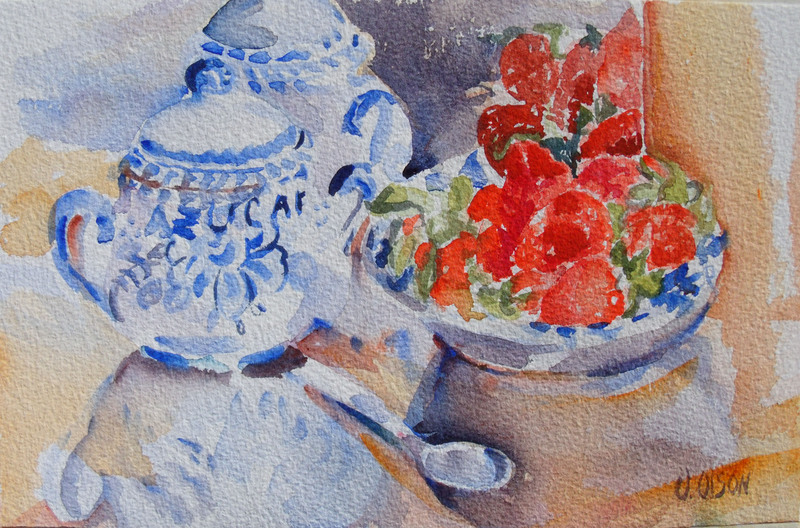 This entry was posted in watercolor and tagged watercolor tips. Bookmark the permalink. ← Welcome to my new blog about painting and the art making process.